The potential of this gorgeous Basil is limitless! This delightfully fragrant ornamental herb can be mixed throughout annual beds, planted in patio pots, or even used as a cut flower in fresh bouquets. Try growing it in a sunny windowsill to perfume your home and have quick-and-easy access to the flavorful leaves. 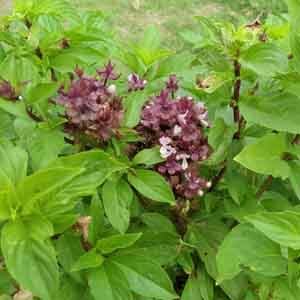 Culinary herb for gardens and containers. Excellent for adding flavor to soups, sauces, fish and meat dishes. Use leaves fresh, or dry and keep in an airtight container.